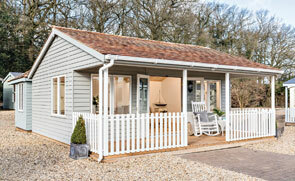 One of our charming Blakeney Summerhouses was recently installed for a customer based in Stonebridge, East Sussex. Designed and hand-built to order at our factory in Norfolk, the building was chosen to be a seasonal spot to enjoy summer days and balmy evenings in their stunning outdoor space. As with all of our FSC® certified Scandinavian Redwood timber garden buildings, the summerhouse was delivered and installed by our expert, in-house fitting team. Selected from our range of FSC® certified timber Summerhouses, this Blakeney Summerhouse was recently installed for a customer based in Hastings, East Sussex. As with all of our superior quality timber buildings, the Blakeney was designed and built by hand at our Norfolk factory before being delivered and installed by our expert, in-house fitting team at the customers’ address. This stunning summerhouse was recently installed for a customer based in Bexhill-on-Sea, East Sussex. The Cley model was selected from our range of Summerhouses by the customer who wanted a stylish pool room to sit beside their brand-new swimming pool. Measuring 2.4 x 4.2m, the building was designed and hand-built at our Norfolk factory before being both delivered and installed by our expert, in-house fitting team. One of our charming Felbrigg Sheds from the National Trust collection of FSC® certified timber buildings was recently installed for a customer based in Hove, East Sussex. As with all of our high-quality buildings, the shed was designed and hand-built at our Norfolk factory before being both delivered and installed at the customers’ address. One of our stunning National Trust Summerhouses was recently built and designed in Norfolk for a customer based in Crowborough, East Sussex. It was then delivered and installed by our in-house fitting experts who ensured everything was perfect before leaving the property. 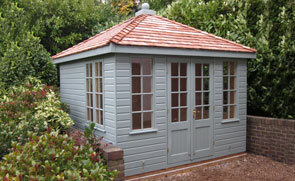 This charming Blakeney Summerhouse was recently installed for customers based in Portslade-by-Sea, East Sussex. As with our entire collection of FSC® certified timber garden buildings, any orders are designed and hand-built at our Norfolk factory before being both delivered and installed by our expert in-house fitting team. 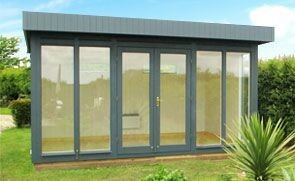 This 3.0 x 3.6m Cley Summerhouse has been installed in our customer’s garden in Hove, East Sussex for use as a home office. Delivery and installation is included in the price as part of our end-to-end service. This 3.0 x 3.6m Superior Shed was recently installed for a customer based in Lancing, Sussex. Like our entire range of high-quality, FSC® certified timber buildings, the shed was designed and built at our Norfolk factory before being delivered and installed by our expert fitting team as part of the exceptional service we provide. 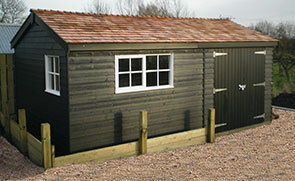 This functional Superior Shed was recently installed in Halisham, East Sussex and boasts a generous size of 2.4 x 4.8m. The customer opted to have a workbench added to the interior as well as a security pack for the extra peace of mind. Our security packs come with window bars, a 7-lever sliding bolt padlock and ‘un-screw-able’ screws which is a desirable package for those wanting to store expensive items or equipment.